Selective Laser Sintering (SLS) has become one of the most widely used technologies for additive manufacturing. Far from being a tool used solely for creating prototypes, SLS technology has become a viable means of producing low-volume end parts and support parts, like jigs and fixtures, across a range of industries. With the benefits of SLS technology being manifold, the technology has opened up new possibilities for design and engineering. So why should you consider producing SLS-printed parts in-house? SLS technology is ideal for creating highly complex parts since it does not require support structures, unlike SLA (stereolithography) and FDM (Fused Deposition Modelling). Unsintered powder left over from the printing process is used to provide additional strength and support to the part, thereby acting as its own support structure. For engineers, this aspect of SLS means greater freedom to create complex parts (with overhanging features, for example) and lattice structures. Furthermore, with SLS technology, you can create parts and geometries that would otherwise be impossible with traditional manufacturing methods. As SLS parts are lightweight, they are also ideal for creating aerospace and automotive parts. SLS allows you to print complex geometries in a single print run that would ordinarily require multiple parts to produce. This means that multiple parts can easily be printed at once, saving considerable time and effort whilst also maximising build space. Parts can even be added while printing is in progress – allowing both further iterations of the part and last-minute design changes to be added, instead of restarting the entire production process from scratch. You can also save time during the post-processing stage: since no support structures are used, less time is needed to clean the part. Using traditional manufacturing to produce small to medium batches or one-off parts on demand is inherently economically unsustainable. However, SLS technology bridges this gap, as its capabilities facilitate the manufacturing of small series production without the need for expensive tooling. This benefit has already been leveraged by a number of automakers, such as Daimler Trucks North America who announced last year its trialling of SLS 3D printed spare parts to create a more efficient supply chain. More recently, luxury car manufacturer Porsche announced its use of 3D printing, including SLS, to produce spare parts for its Porsche Classic series. The possibility of using SLS technology to create products “on demand” can also significantly reduce the costs of maintaining an extensive inventory of parts, as components and products can be manufactured at the point of need. One example of this is airline Emirates, who last year revealed its adoption of SLS technology to print components for its aircraft cabins. SLS enables the rapid creation and testing of prototypes over a period of a few days, thereby reducing the production development cycle. In addition, end parts can be created with no need for expensive tooling, as is required for traditional manufacturing methods. The most commonly used materials for SLS are polyamides, engineering thermoplastics with mechanical properties ideal for a range of functional applications. 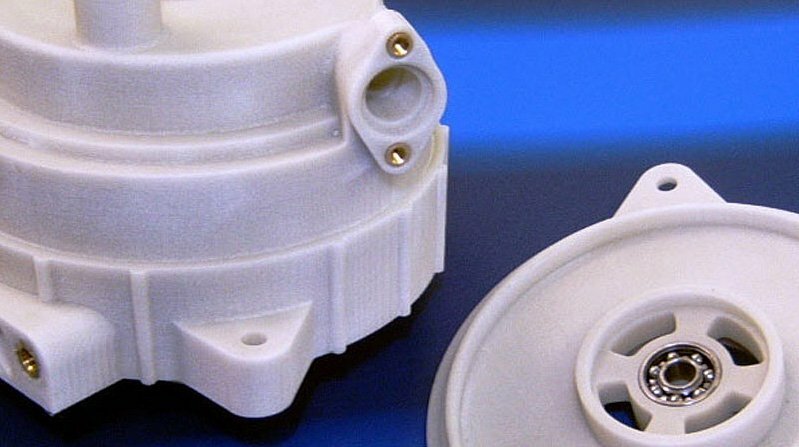 With isotropic properties and chemical and heat resistance, parts created with SLS technology rival those produced through traditional manufacturing methods such as injection moulding. For example, SLS can be used to create mechanical joints and other functions in which durable parts are required, as opposed to other AM technologies whose parts can become brittle over time. Of course, thermoplastics are not the only materials that can be printed with SLS – a wide range of materials, including metals, can also be used. SLS technology certainly provides a range of benefits for industrial applications. However, before deciding to integrate SLS into your in-house production processes, it would nonetheless be prudent to first consider your printing needs, as investing in an SLS machine is a significant investment. After all, one key element of successfully utlising 3D printing technology is ensuring that you match your needs to the technology that you adopt. To learn more about the benefits of using SLS technology, why not download our free white paper?